You found it! What follows is the Ultimate Music Festival Packing list! These are the essentials for any camping festival but this list will also come in handy for any other music fest. The product links are Amazon Associate links that give Festival Survival Guide a small commission, we hope that is cool with you as we work hard to bring you this amazing content. 🙂 If there is anything you think we are missing from the list feel free to tweet us @festsurvival or hit us up on Facebook with your suggestions! Tent – This Coleman Camping Tent rocks! Sleeping bag – Here is the perfect sleeping bag to keep you snug while camping. Extra blankets are a must! Baby wipes (there are not always convenient showers available so if you refill jugs of water you can use these to brush your teeth and hair. Baby wipes can help you stay clean throughout the day) *please do NOT dispose of these in porta potties! As far as clothes go it’s up to you what to pack. My only suggestions are to bring things you don’t mind getting messed up because you will be outside partying all weekend and things can get pretty dirty. Especially if there is any chance of rain, make sure to pack extras of everything so that you can put on dry clothes whenever you want to. Also make sure to bring some long sleeves even if it is a summer festival because if you get a little sunburned it can be chilly once the sun goes down. 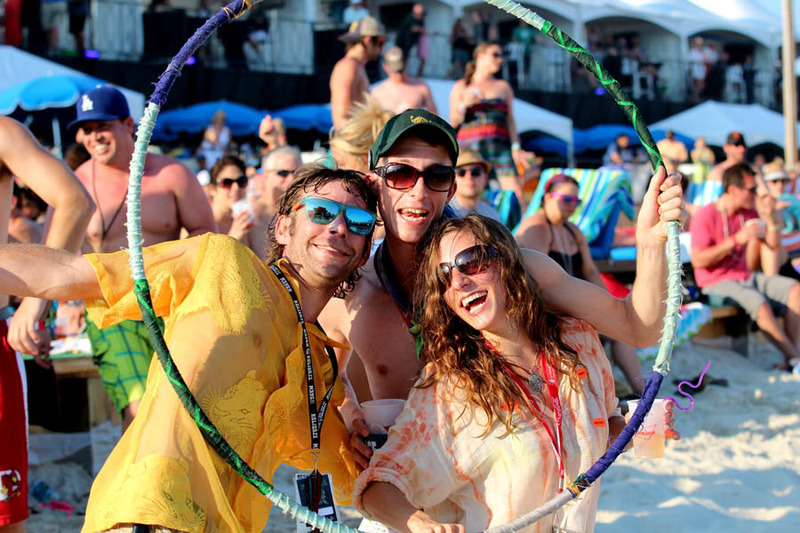 These are the essentials but you should also think about fun stuff to do at the campsite like hula hoops, glow sticks, Frisbees, soccer balls, playing cards and anything else you like to do. I also like to bring a book in case I need a few quiet minutes away from the madness. Also a paper and pen can always be good to have around. People often also wear crazy costumes and things like that so go nuts. And don’t forget your camera!